A new powerful laptop has been unveiled by Eurocom this week in the form of the Tornado F7W Mobile Workstation which is equipped with a 17.3 inch display offering a choice of FHD, UHD 4K; 120Hz, 60Hz. Under the hood the powerful laptop is equipped with Intel’s newest i9 9900K 8 core/16 thread processor and the super-powerful Quadro P5200. Processor upgrade options include LGA1151 CPUs; 6 cores/12 threads- (Xeon E-2176G, Xeon E-2186G, i7 8700, i7 8700K, i7 8086K); 8 cores/8 threads- (i7 9700K); 8 cores/16 threads – (i9 9900K). 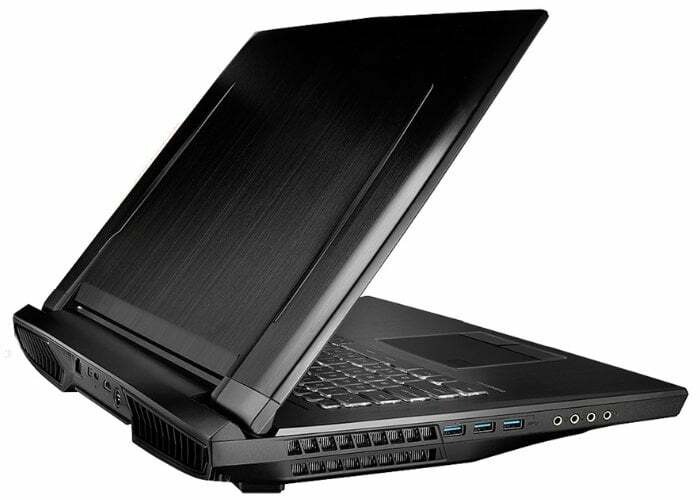 With graphics available in the following formats NVIDIA Quadro P3200 (6GB); P4200 (8GB) and P5200 (16GB). The huge laptop offers 5 physical drives with RAID 0/1/5, NVME, up to 22TB of storage; three M.2 NVMe SSD and two 2.5inch SATA3 and can be fitted with up to 128GB via four SODIMM slots. Other features include connections for 1x Thunderbolt 3.0; 5x USB 3.1; Mini Display; HDMI 2.0; Mic in; Headphone S/PDIF out; Line-in; Line out; RJ-45 / LAN. Together with SmartCard Reader, TPM 2.0, BIOS Disk Encryption, Security lock, Fingerprint scanner. And optional “anti-hacking package” is also available and removes the webcam, microphone and WLAN if desired. Operating systems for this beast of a laptop include a choice of VMWare, Microsoft Server 2016, Windows 10 and Linux. Unfortunately, no information on pricing or worldwide availability has been released as yet, but as soon as information comes to light, we will keep you updated as always.